The Euro Tour simply refuses to end. While the traditional European summer racing season runs from mid May til the end of June, this year it looks set to extend for a whole nother month. 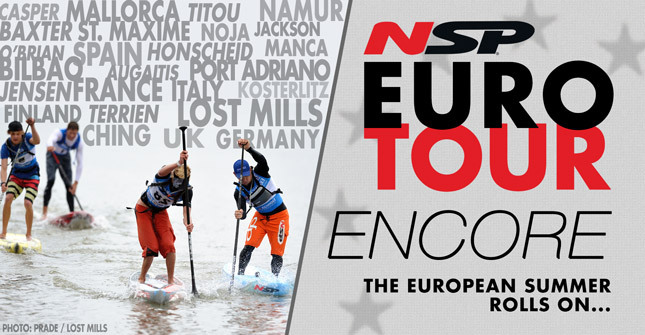 Let’s call it the Euro Tour: Encore. And first up in the encore set is Finland, where the Sieravuori SUP Masters are happening Friday and Saturday. 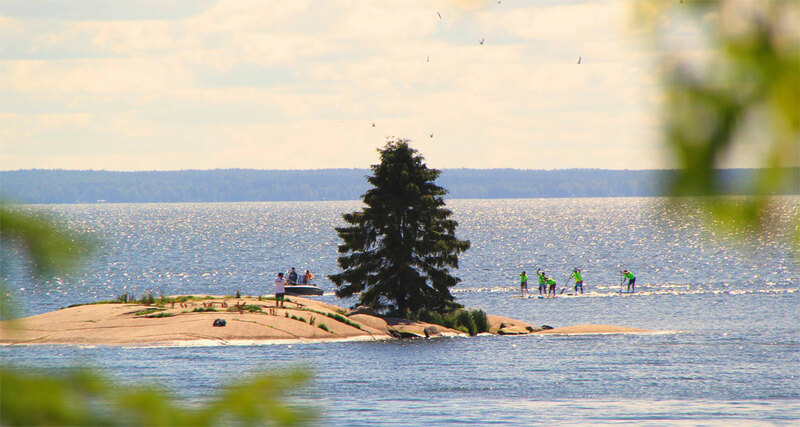 This inaugural event is set in a beautiful part of the world (Finland is the “Land of a Thousand Lakes”) and has attracted a small but dedicated band of talented paddlers. Today (Friday) is the distance race while tomorrow it’s the sprints. This follows the standard format of the Stand Up World Series, which Sieravuori is a part of (technically it’s a Challenger Series event, the second-tier of the World Series). The distance race has just finished and taking the win (and continuing his stellar run of form in Europe) was Zane Schweitzer. The Maui surfer-turned-racing-phenomenon defeated the Euro contingent of Casper Steinfath (Denmark), Eric Terrien (France) and Leo Nika (Italy).